It's not every day we get a gaggle of New Yorker artists out of the metropolis and into the Librairie. 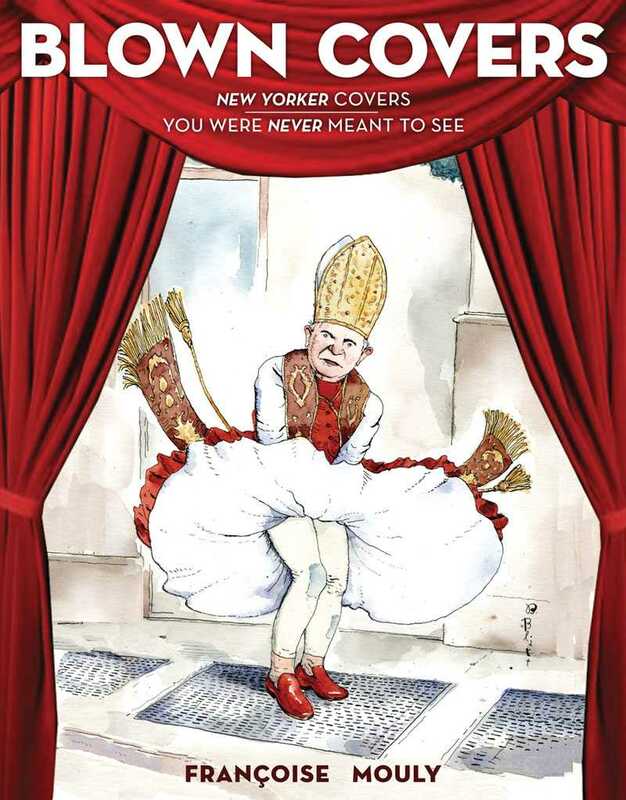 I'm very pleased to announce a most excellent event with Barry Blitt, Matthew Diffee, and Anita Kunz. All three have longstanding relationships with the venerable publication and all three will be in our shop, signing copies of their hilarious books: Blown Covers and The Best of the Rejection Collection. The Best of the Rejection Collection: 293 cartoons that were too dumb, too dark, or too naughty for The New Yorker is, well, pretty much what you'd guess. But so much more! 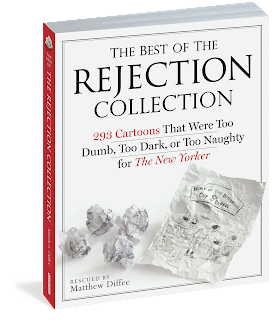 From the back cover: "It’s the best of the worst: 293 of the funniest cartoons rejected by The New Yorker but luckily for us, now in paperback and available to enjoy. 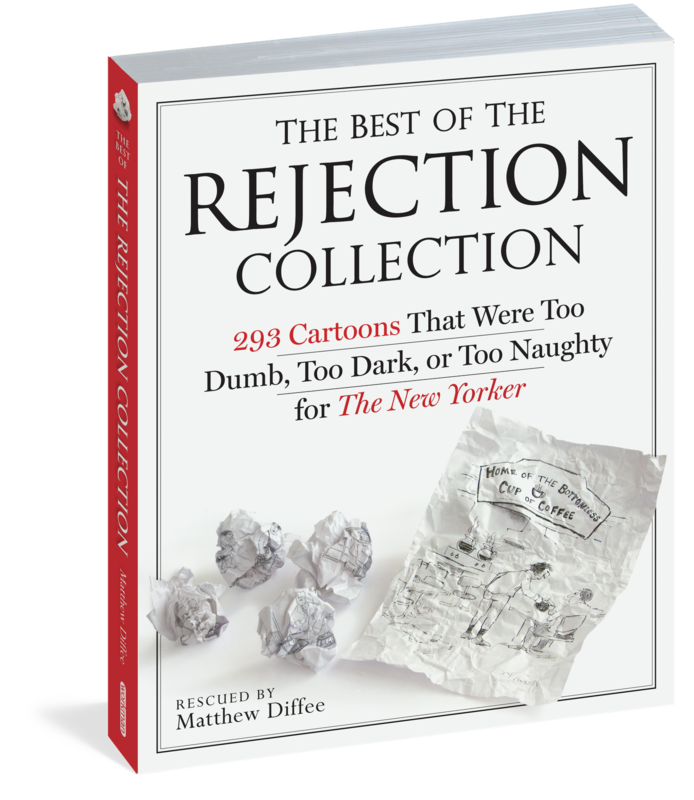 The Rejection Collection brings together some of The New Yorker’s brightest talents—Roz Chast, Gahan Wilson, Sam Gross, Jack Zeigler, David Sipress, and more—and reveals their other side. Their dark side. Their juvenile side. Their sick side. Their naughty side. Their outrageous side." 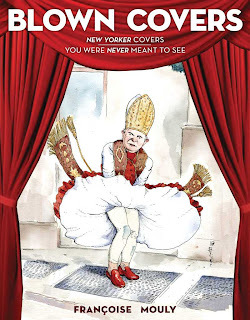 "Françoise Mouly takes us behind the scenes at the New Yorker and reveals how the magazine creates its signature covers commenting on the most urgent political and cultural events of the day. She shows the shocking and hilarious sketches that didn’t make the cut and explains how these are essential stages in the evolution of a cover that stands the test of time but retains its edge. Her book captures contemporary history—from the farce of Monica Lewinsky to the adventures of Michelle and Barack to nuclear meltdown in Japan—in images that are as acute as they are outrageous. More than that, it shows how the magazine that exemplifies journalistic excellence in America also dares to cultivate a sense of humor when grappling with complex moral and political issues."